There are lots of funds being raised for the victims of the bombings last week at the Boston Marathon finish line, but a recent campaign is seeking help for an unusual victim — the owner of the boat that one of the suspects hid out in during a shootout with police. A campaign on Crowdtilt launched by Craig Dunlap, who didn’t return Trade Only Today’s email request for comment, asks donors to give until $50,000 is raised to replace or restore Watertown, Mass., resident David Henneberry’s boat. Press reports identified the boat as a 20-plus-foot Chris-Craft Sea Hawk; a participant at The Hull Truth forum says he thinks the boat is a Performer 24. Readers who believe they can identify the boat are welcome to comment at Trade Only’s website. "That boat&apos;s his baby. He takes care of it like you wouldn&apos;t believe. And they told him it&apos;s all shot up," Henneberry&apos;s friend and neighbor, George Pizzuto, told ABC News. "He&apos;s going to be heartbroken." The account on Crowdtilt, a site that helps pool money for causes, was launched Saturday, just a day after Watertown police apprehended bombing suspect Dzhokhar Tsarnaev. Boston area residents had just been allowed to roam freely after being on lockdown all day when Henneberry went outside and saw blood on his boat, according to several media reports. After peeking inside, he called authorities. His most recent posting Monday night said: “I can&apos;t believe that we&apos;ve crossed $6,000 ... this is such an amazing outpouring of support for David. I&apos;m so proud to be a part of it with y&apos;all ... let’s keep going and get our friends to support David in this tough time for him and his family. Every little bit counts. Let&apos;s get him a new boat! At last check this morning, the campaign had raised $7,475.22. 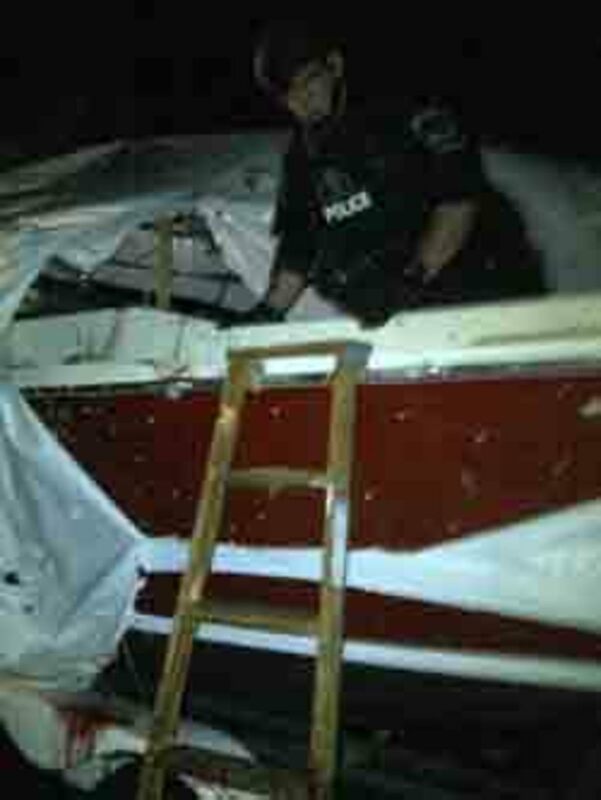 Click here for the ABC News story about the damage to Henneberry&apos;s boat.